The 50th anniversary of Dr. Martin Luther King’s assassination comes amid a fierce struggle for the soul of America. We will celebrate the progress that has been made since Dr. King was taken from us in 1968, and decry the agenda that is still unfinished. 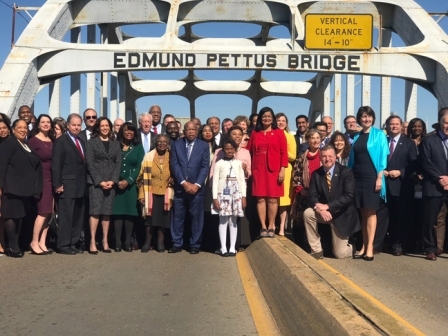 But we cannot ignore the systematic effort – from the highest offices of government – to roll back his legacy, to make America more separate and unequal, to reverse the progress of the last years. From the White House and across the great cabinets of the federal government, civil rights are being systematically undermined. President Trump has set the tone personally, slandering immigrants and seeking to ban Muslims, while noting there were “very fine people” among the neo-Nazi marchers in Charlottesville. He pardoned former Sheriff Joe Arpaio, allowing him to avoid accountability for racially profiling Latinos. He terminated the Obama program that protected the DACA children, and sabotaged every bipartisan effort to protect these children who know no other country than the U.S. He called for NFL players protesting against discrimination to be fired, while slurring “s–hole countries” in Africa. In different departments, his appointees have moved relentlessly to roll back enforcement of civil rights, with Attorney General Jeff Sessions leading the way. DOJ lawyers reversed their position on voting rights cases, like that in Texas, essentially opening the door for voter suppression. Sessions forced a review of Obama-era consent decrees with police departments, even as Trump praised brutal police tactics. He drastically limited the use of court-enforced consent decrees themselves, eviscerating the primary instrument of civil rights enforcement. Sessions has also declared that civil rights laws protecting against workplace discrimination do not apply to transgender workers. His labor secretary disbanded a 40-year-old division enforcing laws against discrimination in the workplace. His education secretary, billionaire Betsy DeVos, disemboweled the department’s office of civil rights and pushed to move public funds to support voucher programs, while calling for deep cuts in the staff and budget of the education department. 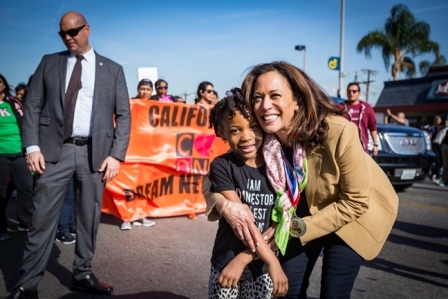 His secretary of Housing and Urban Development, Dr. Ben Carson, has gutted enforcement of civil rights and fair housing laws, at the very moment the department must disburse billions in disaster recovery Community Block Grants that could help reverse past wrongs. Carson even pushed to strike the words “inclusive” and “free from discrimination” from HUD’s mission statement. Abroad, Trump has expanded the endless wars without victory that King warned against. He has slashed taxes on the wealthy and corporations while targeting basic programs for the vulnerable – from food stamps to Social Security and Medicare and Medicaid – for deep cuts. He sought to repeal Obamacare, which would have deprived millions of health care. This is a direct and sustained assault on Dr. King’s legacy. Dr. King fought for integration against discrimination. He marched for equal opportunity against entrenched inequality. He championed non-violence against violence. He campaigned for voting rights, knowing that democracy offered the best chance for change. He called for an end to the war in Vietnam, realizing that the bombs being dropped on Vietnam were landing in the poor neighborhoods of our cities. At the end of his life, he was organizing a broad coalition of poor people, across lines of race, religion and region, to march on Washington to demand basic economic rights. No representative of the administration will appear in Memphis as we mark the anniversary of his assassination. More reason that a new generation must take up the mission of his life. Today, many of America’s Black communities bear the sustained scars of physical and economic injuries. Even in Baltimore, the headquartered home of the NAACP, communities are still reeling from the police-custody death of Freddie Gray. The deaths of Black Americans like Michael Brown, Alton Sterling, and, most recently, Stephon Clark—shot eight times by police in his own backyard—remind us we are still not seen as full-citizens by many in our nation. 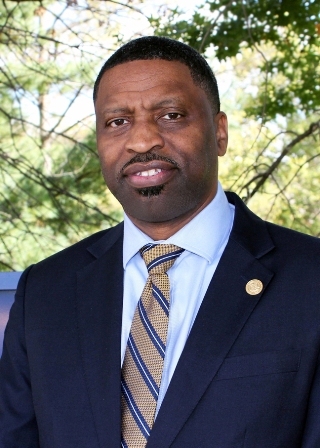 Derrick Johnson is the president and CEO of the NAACP, America's largest civil rights organization. Follow him on Twitter @DerrickNAACP. As we commemorate the 50th year since Dr. King was brutally taken from us, let us never forget his relentless fight for freedom. Dr. King is often remembered as a peaceful man concerned about unity above all else. As we commemorate this mournful day, I urge Americans to remember that Dr. King was a freedom fighter, fearlessly speaking out against racial and economic injustice, even when those arguments made people uncomfortable. On the night before he was murdered, Dr. King articulated a powerful reminder to the country that Black Americans were only asking for a just position in this society. 50 years later, Dr. King's promised land still eludes us. After making strides as a country, we are obviously moving backwards. Moral leadership from within some of our most treasured institutions has eroded. Institutions erected to address inequality and injustice are being threatened and neutered before our eyes. The gains Dr. King died to achieve are being willfully targeted. 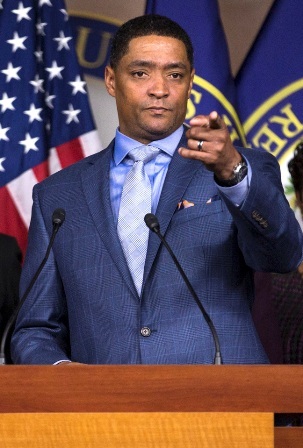 The Congressional Black Caucus will not relent in its fearless leadership in defense of the gains Dr. King died for. 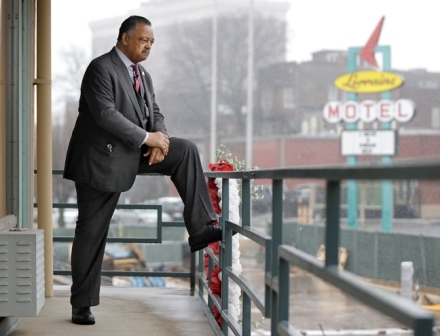 He died on that hotel balcony because he was fighting for economic opportunity, social justice and fairness. There remains much work to be done to see his dreams actualized. But looking back on his work and his sacrifice, I am hopeful that by working together we can stem the tide of injustice that has been accelerating lately. It is at moments like these we have to remember Dr. King's observation that it was during the greatest darkness that we can see the stars. I am thankful for Dr. King's life, his work and for his sacrifice. He gave his life so that the world might hear his ideas which have served freedom fighters ever since. We will continue to honor his life by educating, legislating and agitating to accomplish his dream of equality and justice.